Creative Baby sensory play for babies 0-18 months - with jewellery making for grown ups! Sensory play for babies 0-18 months, with jewellery making for grown ups! Relax with your baby in an imaginative sensory play space. Explore dens, lights, mirrors, music and interesting objects, set amongst the exhibitions. 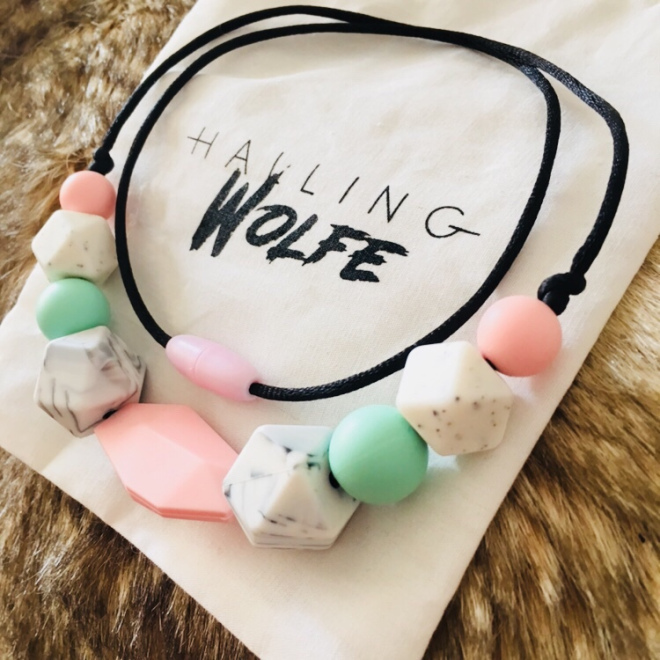 While you’re here, drop into the Halling Wolfe bead station and design your own bespoke teething necklace. There’ll be a selection of beautiful silicone beads in a range of colours, shapes and sizes. Choose your beads and we’ll assemble it for you. There’ll also be the opportunity to buy readymade necklaces, bangles and elephant teethers – perfect as stocking fillers, or as a little treat for yourself! Having little ones tends to mean jewellery has to stay locked away for fear of it getting broken; but with this chewable jewellery, you can not only wear it safely, but share it with your child when they are feeling particularly sucky or chewy. Necklaces are made with break-away safety clasps so they won't be broken by over-eager little hands. Soft but durable silicone helps soothe aching gums, and the length is perfect for baby to chew on while in the sling, sitting on your knee, or to hold while feeding. The play space is open 10.30am – 12.00 and you can arrive at any point. There’s plenty to explore so we recommend allowing at least an hour for your visit. Last entry for necklace making: 11.30am. Suitable for babies 0-18 months. £12 includes entry to play space and one necklace. Additional jewellery may be purchased using cash or card.